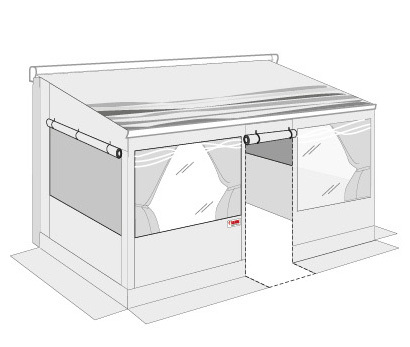 The light version of the Privacy Room enclosure. 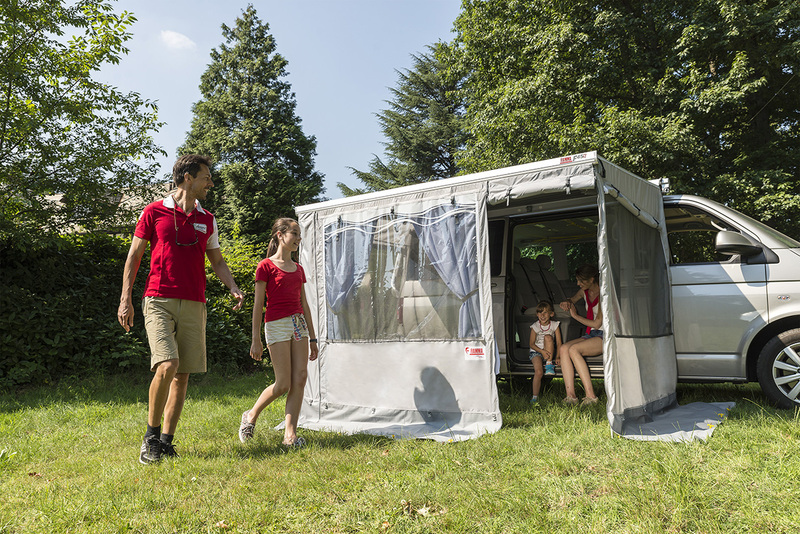 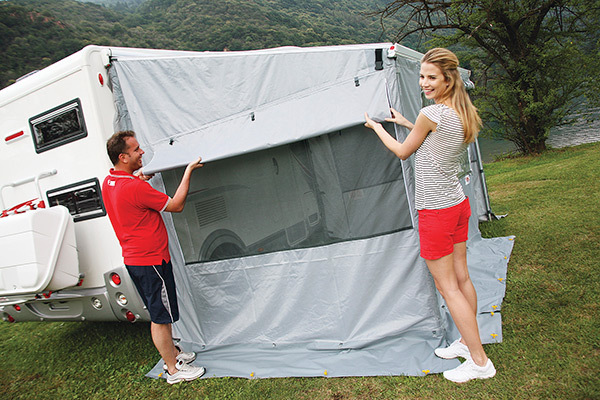 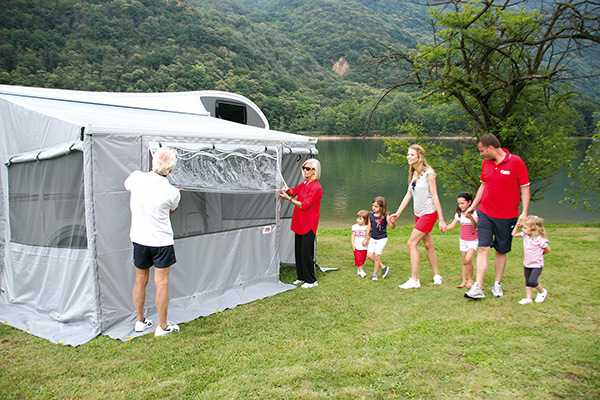 Made of durable weather resistant grey polyester, that once folded, takes up little space and is really very light. 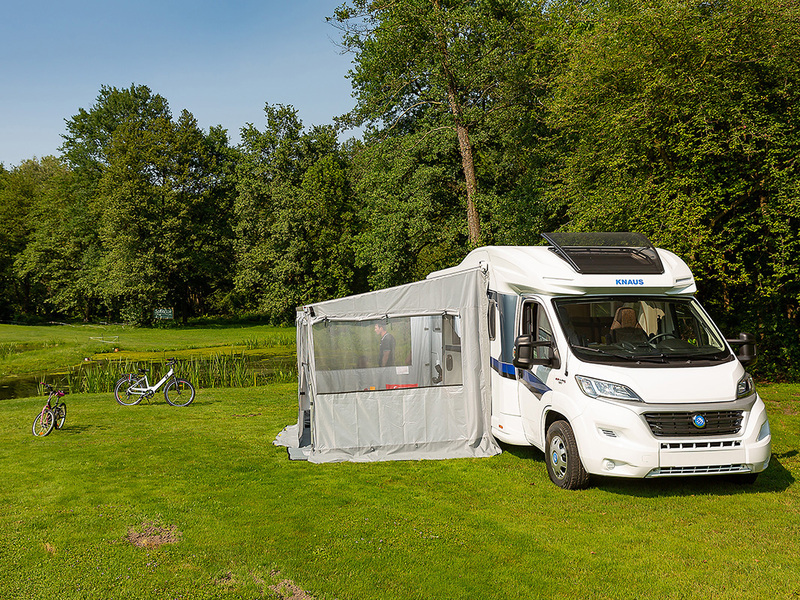 Suitable for summer or mid-season. 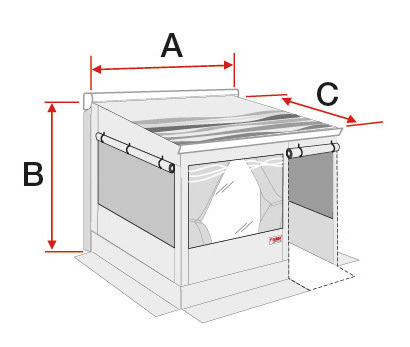 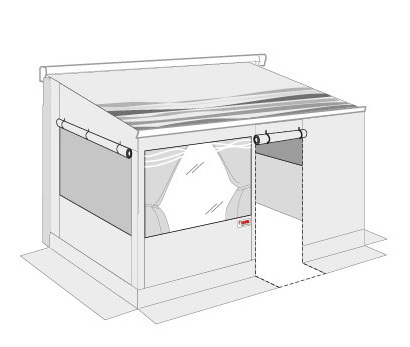 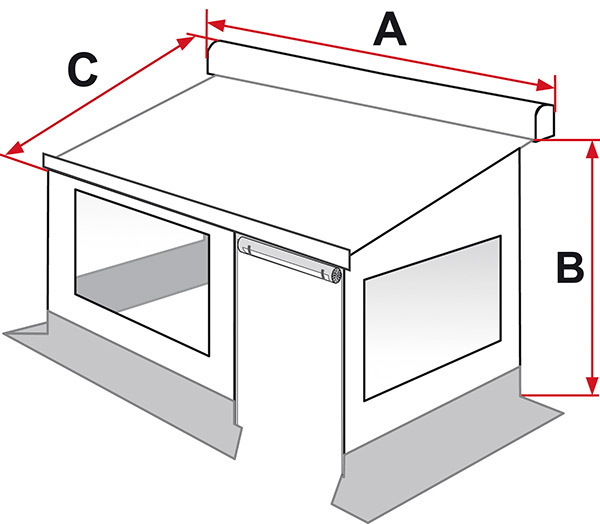 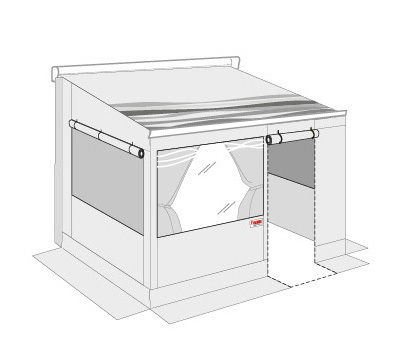 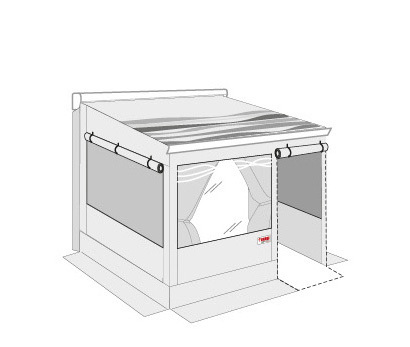 The front panel is made up of an opening window and a mosquito net, the two side panels are provided with opening window and mosquito net for a good ventilation. 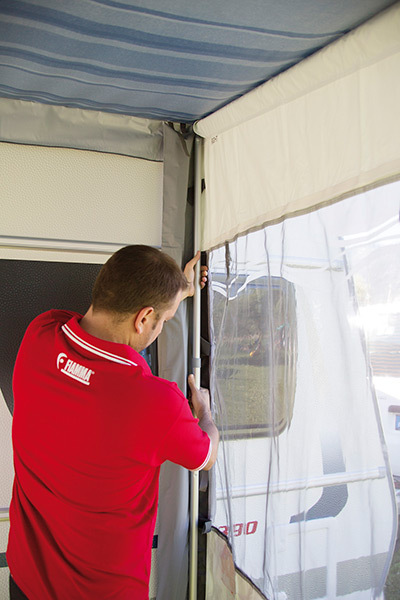 One openable Crystal window equipped with mosquito net and two side windows equipped with roller blind and mosquito screen. 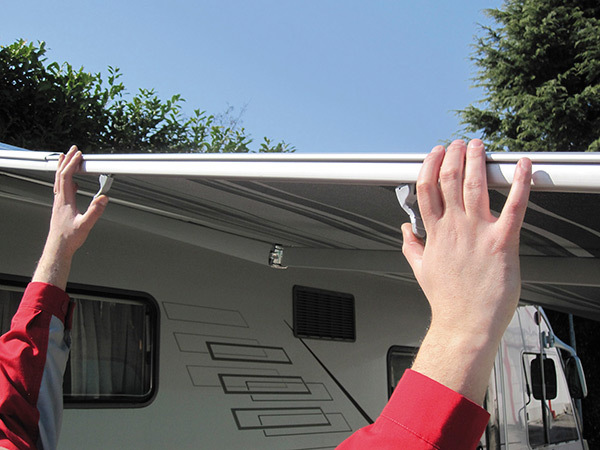 Structure Fast Clip Light is equipped with lever hooks for easy and quick installation.